If you can find a strong enough concentration of tea tree oil, it’ll likely be too strong, which can trigger a sensitised reaction if you don’t dilute it before applying to skin. 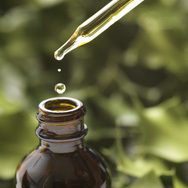 Among the 100 compounds in tea tree oil are fragrance ingredients like limonene, linalool, and eucalyptol, all believed to be responsible for skin reactions to tea tree oil. Alternatively, you can mix 5–6 drops of tea tree oil into a lightweight facial moisturiser and apply it to your entire face. As with any skincare routine, protect your skin every morning with a broad-spectrum sunscreen.